I created this piece as a response to a challenge by a local gallery called Porch. The theme was porches in all media. I later had a personal show at that gallery where this piece was sold. 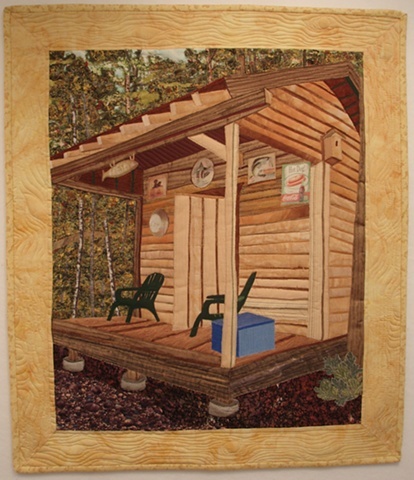 It was based on a cabin built beside the mill pond of some friends who live in North Carolina. Tod has been working on restoring the grist mill on his property and built this shack after he stocked the pond with fish. The sign out front says No Women Allowed. Cute.